Tom Treasure has presented a paper at the Fourth Cardiff Cardiovascular Genetics Symposium: Current Trends in Diagnosis and Therapy of Inherited Cardiac Disease. 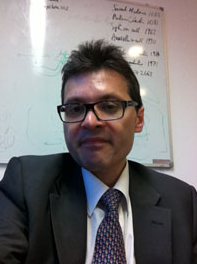 Professor Treasure’s paper was entitled Personalised External Aortic Root Support (PEARS) and the Big Aortic Root Study (BARS). The PEARS project has been featured in a BBC news report. The piece, by BBC health reporter Smitha Mundasad, is called “The engineer who fixed his own heart and others too”. You can read the report and watch an interview with Tal Golesworthy here. The piece received over a million hits on the day it was published and is the most popular Health report on the BBC website to date. Tal Golesworthy and Mario Petrou (right), a cardiothoracic surgeon and the PEARS project lead at Oxford University Hospitals NHS Trust, were both interviewed on the David Prever at Drivetime show on BBC Radio Oxford on 20 November. Mario’s interview was preceded by the audio from the BBC website interview with Tal Golesworthy. You can listen to the interviews below. Tal Golesworthy was interviewed on BBC Points West on 20 November 2013. You can watch the interview below. Articles by Tom Treasure on the Big Aortic Root Study have appeared in Cardiology News and the European Journal of Cardio-Thoracic Surgery. The Big Aortic Root Study: evaluation of personalised external aortic root support was published in Cardiology News. A call for expressions of interest in a comparative study of the options for pre-emptive aortic root surgery for people with Marfan syndrome was published in the European Journal of Cardio-Thoracic Surgery. The proposed design of the Big Aortic Root Study will document the assessment and information given to patients who are being monitored with a view to aortic root surgery. What is envisaged is an inclusive overarching observational study and within it, the option of random allocation at (two or more) decision making nodes where clinicians and patients recognise that there is uncertainty in the decision making algorithm. 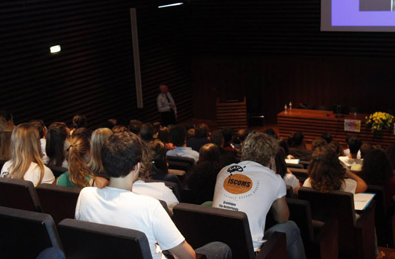 On 21 September 2013, Tal Golesworthy delivered the keynote speech at the Young European Scientist (YES) Meeting 2013 at the University of Porto Medical Faculty, Portugal. Delivered as part of the Cardiothoracic Surgery Symposium chaired by Prof. Dr. Adelino Leite-Moreira, the speech gave an overview of the PEARS project. The YES Meeting is an international conference built up by a group of students and friends in Porto, Portugal and its major purpose is to provide biomedical students all over the world a global platform of scientific and cultural exchange. Other speakers at this year’s meeting included Ada Yonath, winner of the 2009 Nobel Prize for Chemistry. To find out more, visit the YES Meeting website. Wednesday 3 July saw the PEARS project on the BBC’s One Show. Professor John Pepper, Mr Conal Austin and Tal Golesworthy were interviewed by Dr Michael Mosley at St Thomas’ Hospital in London as the 37th patient received his Exovasc external aortic root support. The feature was directed by Laura Blount and Lyndon Bruce. Prof Tom Treasure has called for expressions of interest to join in a comparative study in the European Heart Journal. The proposed design of the Big Aortic Root Study (BARS) will include documenting the assessment and information given to patients being monitored with a view to aortic root surgery. It is important to us that those joining the study help contribute to the development of the study design and ‘own it’, so at this stage there is no firm proposal, but what is envisaged is an inclusive overarching observational study. For more information, download the European Heart Journal – the notice on the study starts on page five of the PDF. Today marks nine years since Tal Golesworthy became the first patient to receive a PEARS implant. Nine years on, Tal’s aorta is entirely dimensionally stable and requires no drug therapy. Since Tal’s operation a further 34 patients have received the PEARS implant, giving a collective 143 post operative patient years and with no device related deaths or other problems. On 25 April 2013, Professor Tom Treasure spoke at the 9th Current Trends in Aortic and Cardiovascular Surgery and Interventions conference in Houston, Texas. His paper was called “Personalised External Aortic Root Support (PEARS): Clinical Results up to Nine Years in Marfan Syndrome”. You can download Professor Treasure’s submission here. You can also download the conference brochure.